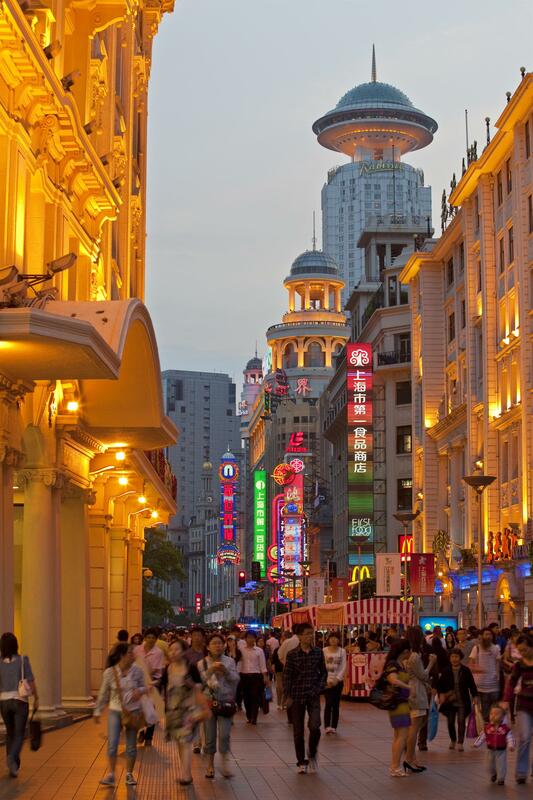 The Pearl of the Orient has captivated Westerners for hundreds of years. 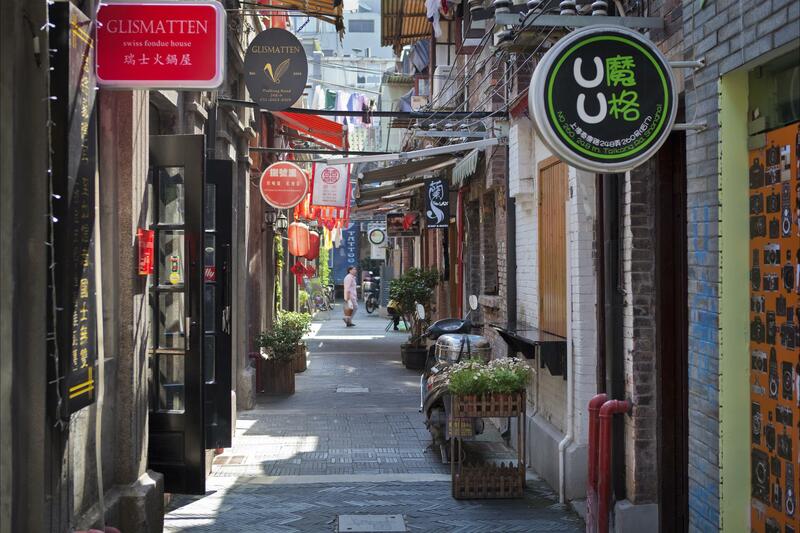 But, it’s only in the past century that Shanghai has managed to transform itself from a modest fishing village to a business and financial powerhouse. Don’t be fooled though. It’s not all business in the “Wall Street of China." The Fairmont Peace Hotel is proof of that. Situated in the heart of the city, the Peace Hotel has practically been there since the beginning — hosting dignitaries and watching the city skyline form along the way. 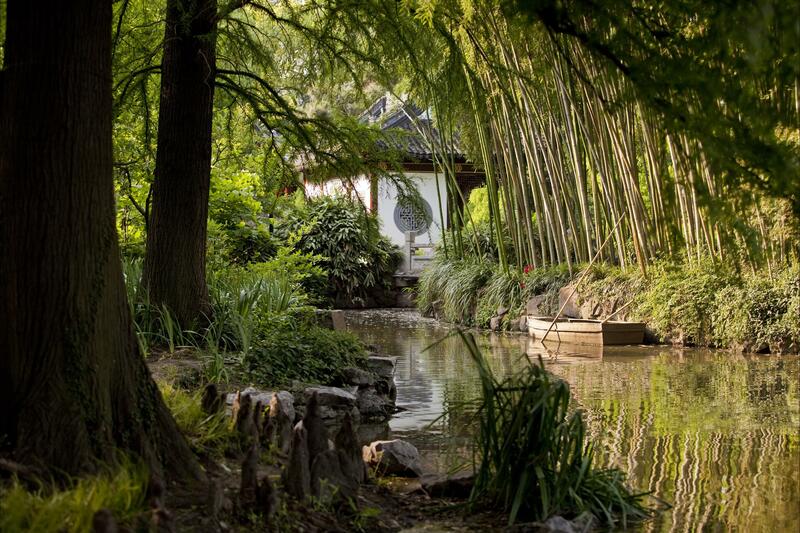 With it as your home-base, here are some of the must try adventures you need to experience while you’re in Shanghai. Beijing has the Forbidden City and Xi-an has the Terracotta warriors, but neither can really top the ever-growing attraction called the Bund. 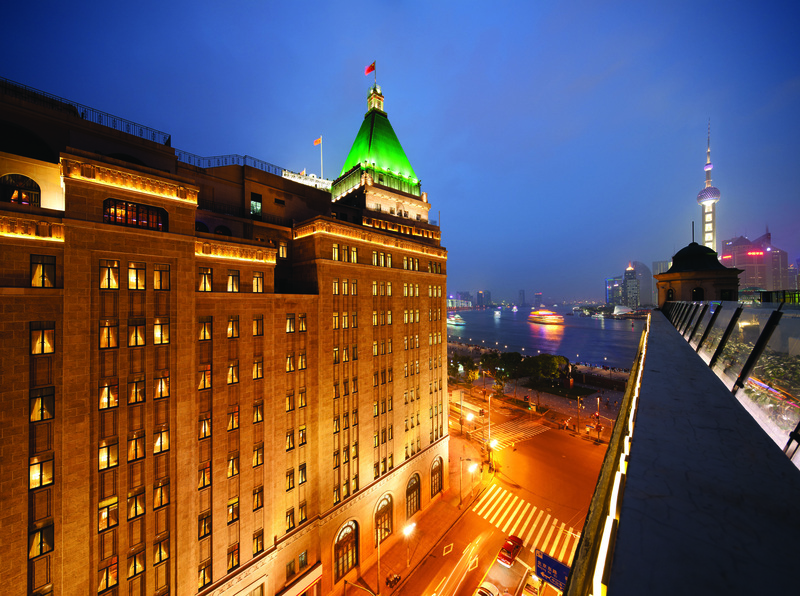 Since the early 1900s, The Fairmont Peace Hotel has settled itself into the exact heart of the Bund, earning some of the best skyline views as a result. Literally translated to “the embankment,” The Bund is the most iconic photo opp in all of Shanghai. So much so, that tourists from all over the country and even the world, are drawn to the area for people watching and, of course, selfie taking along the waterfront. With over 5,000 years of history to review, learning everything there is to know about China is, well, virtually impossible. However, the Shanghai Museum in People’s Square takes a stab at it. Inside, you’ll find thousands of national treasures on display in one of the country’s premier modern buildings. Similar to the Pearl Market in Beijing, Tianshan Tea City is a multilevel building layered with more than 150 tea vendors who are more than happy to provide you a tea sample or two from within their store. After a few hours of chatting, tasting, and walking through the fragrant complex, you’ll think you’ve found another part of heaven. It’s OK to stare in Shanghai; it’s a city made for it. Virtually every area of the city is Instagram friendly, but we vote you put down the camera for a bit, find a bench, and people watch for a while instead. All the people making your skin crawl a little? Find a few quiet moments alone in the one of the many historical temples. Of the three major temples in Shanghai usually Longhua Temple, the oldest in Shanghai, is the go to favorite. However, chances are it will be positively teeming with visitors. If you can swing it, try to visit in the morning when prayers are just getting underway and then beeline over it to the Jade Buddha Temple, which offers plenty of nooks to explore — and ditch the crowds. Boasting an impressive 270 guest rooms and suites is quite an accomplishment, but the Fairmont Peace Hotel doesn’t stop there. The hotel features nine “Nine Nations Suites” that highlight some of the most influential cultures on the Chinese over the years. We bet if you’re especially nice (and time and scheduling allows), the staff will even let you get a sneak peek into some of the rooms you’re not staying in. A most memorable experience is to listen to the Old Jazz Band at the Jazz Bar, with six veteran musicians whose average age is 85, carrying you back to the day of old Shanghai in the 20’s and 30’s. As a port city, Shanghai specializes in remarkably fresh seafood-based dishes. Like most of China, the area puts its own spin on classic Chinese dishes too. For the best of both worlds, opt in on seafood “Shanghai” dumplings — traditional stuffed dumplings (usually filled with pork, shrimp or crab meat) in a light broth. Also, more adventurous food lovers should be sure to sample Shanghai’s wide selection of local snacks, including dumplings mixed in sesame sauce, noodles with fried scallions and deep fried pork chops. Why stop your love affair with dumplings at dinnertime? 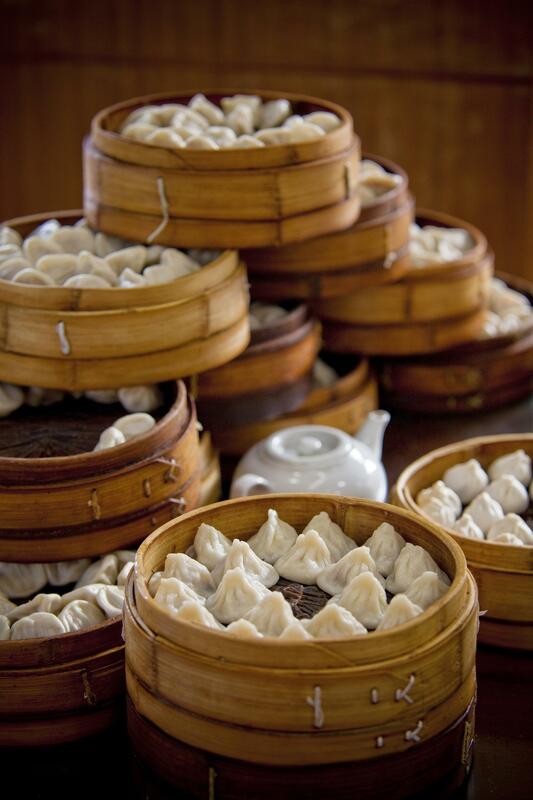 Learn from the best and enroll in a dumpling making class while you’re in town. The staff at The Peace Hotel can help you find a class (be sure to spend timing learning and not just eating!). In China, massage is an art form. The folks at Fairmont have deftly blended the Eastern and Western styles of massage into a glamorous oasis called the Willow Stream Spa. Be warned: If you leave for an authentic Chinese massage parlor and ask for a deep tissue massage, you may have a small, elderly Chinese woman climbing onto your back. Maybe the Chinese have simply had 5,000 years longer than others to practice, but few other countries have mastered the art of placing a peaceful park in the middle of a ferociously busy city. Everyone has a favorite and there’s practically one on every block, so be sure to ask the locals and visit in the mornings when you can get a cultural experience and a brisk walk in. If you happen to be visiting over the weekend, be sure to take in the sights and sounds of the weekend matchmaking events found in People’s Park. You’ll find walls of matchmaking ads (complete with age, height, weight, astrological sign, job, salary and birthplace) along with a number of eager parents trying to find an appropriate spouse for their son or daughter. Are you planning a Fairmont getaway this summer? Book our Moments Offer and enjoy up to 30% off.